Sony has already deployed the latest Android 6.0.1 Marshmallow firmware for many of its devices like the Xperia Z3, Xperia Z2, Xperia, Z5, the Z4, and for some of the Z series tablets as well. However, this time, the Japanese manufacturer has released yet another update to its brand new Sony firmware. This will take the firmware to a new build number 23.5.A.0.575. Even though this is just an incremental update, it brings critical bug fixes like WiFi improvements, etc. Here we have the full firmware files for the same. The FTF files that the Sony Xperia series devices normally possess comes for the United States, European countries like Germany, Italy, Asia Pacific regions like India, Taiwan, Hing Kong (China), Malaysia, and for some Nordic region as well. 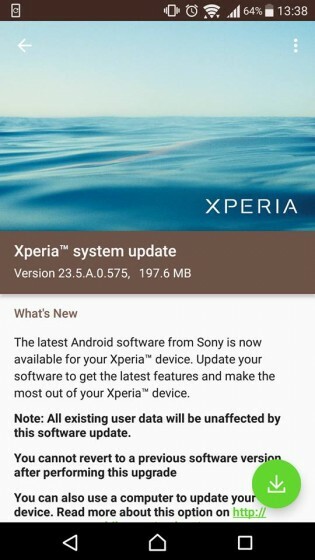 This is a great deal for Sony users who were looking for the latest Android 6.0.1 Marshmallow firmware update and some quick bug fixes, stability improvements, and the newer security patches from March AOSp source. Not much is know about the update right now. However, it is a small upgrade to the previous 23.5.A.0.570 firmware. The Sony Xperia Z3 device have also received a surprising Android N Developer Preview and may soon be available for other devices in series. So stay tuned as we will be updating the firmware files as they are available. Download new 23.5.A.0.575 firmware for Xperia Z2 and Z3 series from below. The tutoral listed below will show you how to install Marshmallow full firmware FTF files on Sony Xperia devices. 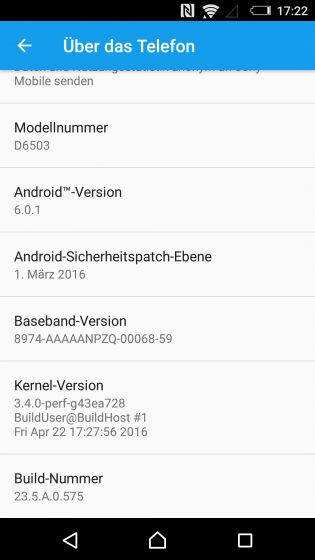 Previous 23.5.A.0.57.0 FTF Firmware for Xperia Z2, Z3, Z3 Compact, etc. How to Install 23.5.A.0.575 Marshmallow Full FTF Firmware Files on Sony Xperia Z3 and Z2 Series? The stock official firmware files come to Sony Xperia devices in the form of FTF files with .ftf extension. In order to install the full firmware update using the FTF files for Sony, just download the proper file for your Sony Xperia device. Also, check the variant and then head over to this tutorial to know how to flash it using the latest FlashTool: How to install Android 6.0.1 Marshmallow on Sony Xperia Z2, Z3, Z4, etc. using full FTF firmware files. That’s it. Once done, enjoy your new Marshmallow firmware. Firmware file type: FTF Download. Like, share and follow us on social media from the quick follow section below. For queries, comment down below or join the forum. se puede rootear?? mi z3 es D6643 le va alguna version de estas?